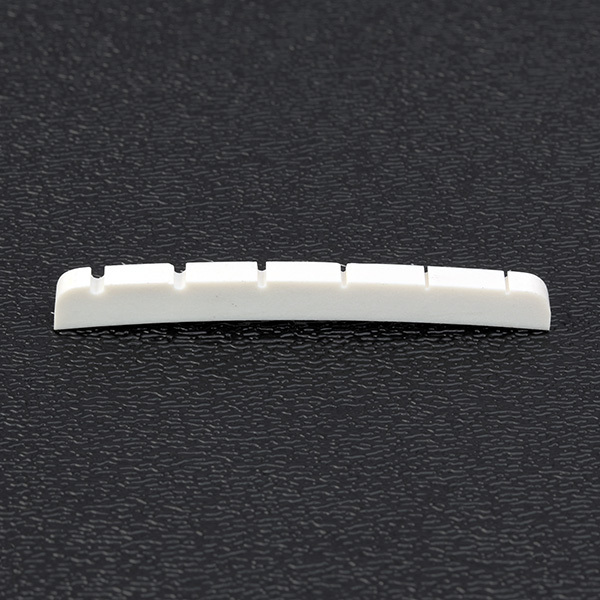 High-quality melamine (synthetic bone) string nut for electric guitars with vintage 7.25" fingerboard radius. 0.122" thickness, 1.665" length. Used on new (2012 to present) American Vintage series Stratocaster® and Telecaster® guitars.